The Drag 902 Wheels are JDM Wheels produced by Japanese wheel company Leonard Inc. 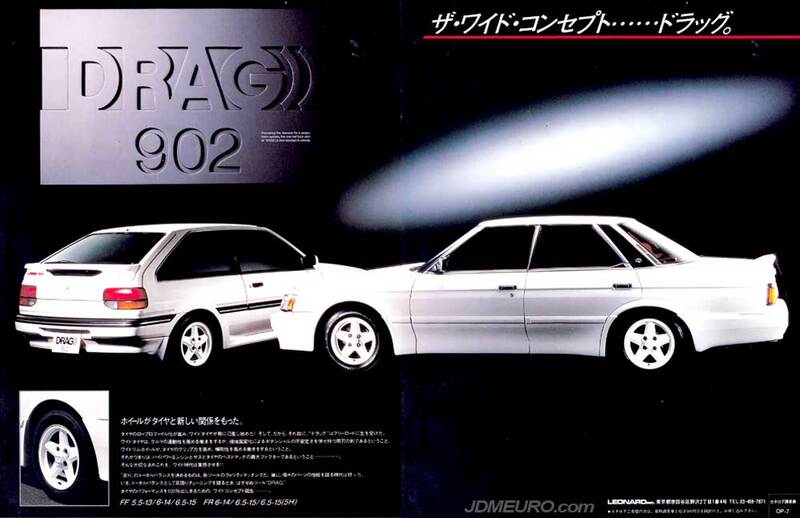 The Drag 902 have a 5 spoke design which resmble the Ronal R9 and also the Enkei 83. The Drag 902 Wheels were available in 4 and 5 lug configurations and in 13″, 14″ and 15″ diameters.